Until the Turkish nation acknowledges the Armenian genocide it perpetrated against these 1.5 million Christians in the early twentieth century there will be no rest for the tormented soul of Armenia and what should be a united Europe against entry to the EU until that responsibility is acknowledged and repentance has been made. To it's shame the UK is a supporter of Turkish (mainly muslim) entry without such pre-condition, not so France and others who know only too well what happened and why this needs to be the terms of any joining by Turkey. 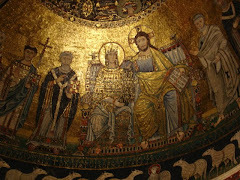 The Vatican is fully aware and has this harrowing report of those events see here . 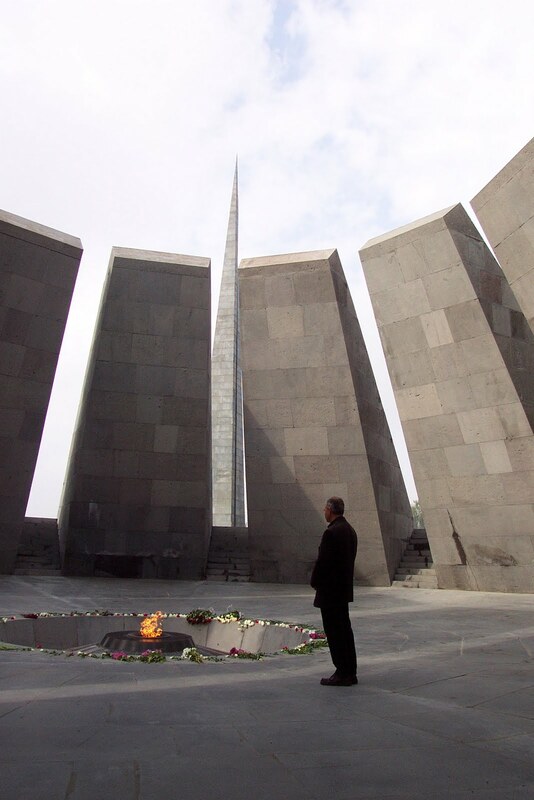 My own photo(click to enlarge)was taken on my visit to the Holocaust Memorial at Yerevan, Armenia where an eternal flame burns as a commemoration. In the Museum below are the most appalling photos of the truth of those barbaric acts for which no reconciliation is possible until they are acknowledged. We owe that to the men women and children massacred and starved to death in those dark days. 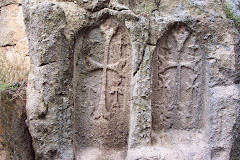 There is also the continued desecration of Armenian churches in Turkey and the graveyards even now despoiled. May God forgive the demonic perpetrators and raise to glory the souls of the faithful departed. More on this to follow.